Are you tired of working all day and having the feeling of falling short not doing the work that matters? Tired of dealing with endless to-do lists, meetings that never ends, goals, projects, and business that overwhelm you, hundreds of emails and daily messages that you never reply on time, and finishing the day so fed up, so exhausted and so inefficient? Do you think you can reach, do and accomplish everything while living a full life dancing at the moment and living awake and winning the clock? It is possible to work less (or more if you wish), produce more and live much better. It’s called Ultraproductivity, the method. 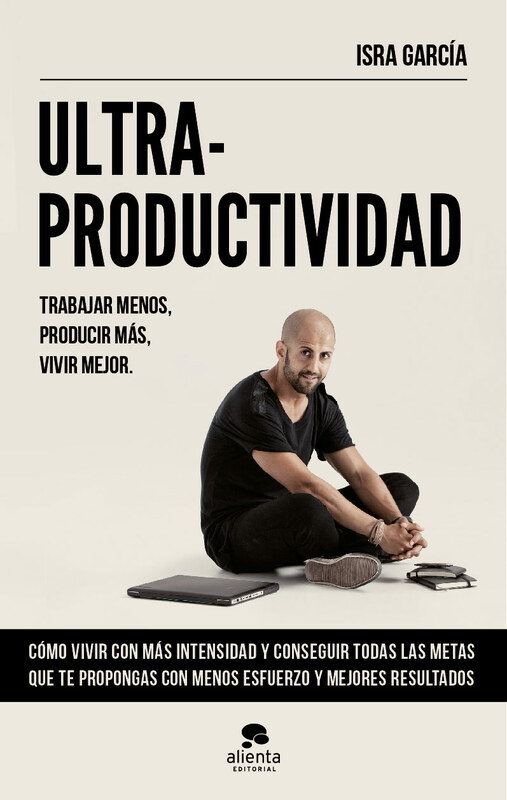 If you want to answer all these questions satisfactorily, this book is for you, because the Ultrproductivity method you’ll elevate your productivity levels until you wish. You will be able to do the work that matters. You’ll be able to taste the moment, improving your lifestyle and reaching all your goals. You’ll do it at the same time that you build a winning lifestyle that helps you to stand out. This method will give you a broad repertory of essential techniques and tactics towards creating your ultraproductivity systems. Including learning, lifestyle, entrepreneurship, and innovation productivity systems. As well as abilities and habits that will enhance these systems. The focus is, overall, on improving your life. Ultraprodutivity book (3rd edition) on Amazon.